Why have Soprano laser hair removal at our Therapy House? 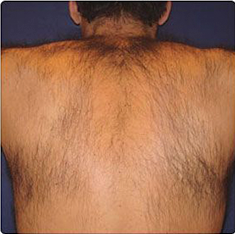 Hair removal methods such as shaving, waxing, epilation, or threading can all be time-consuming, messy and short-lived. 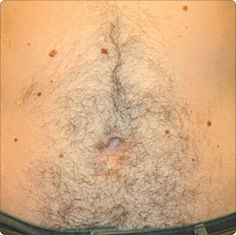 You may also be experiencing painful ingrown hairs or beard bumps. 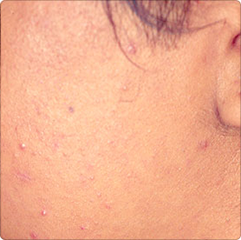 Soprano laser hair removal offers a long-lasting hair removal method for unwanted hair anywhere on your face or body. It is suitable for all skin types and virtually pain-free, unlike many other laser hair removal systems. 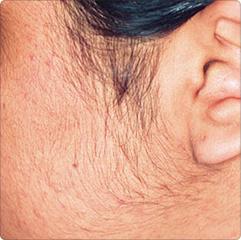 By having a course of Soprano laser hair removal treatments, you can permanently reduce the growth of unwanted hairs. The Soprano laser is ideal for women and men, and even works on tanned and dark brown skin tones. People can enjoy up to an 80% permanent reduction in hair growth with Soprano laser hair removal. What is Soprano pain-free laser hair removal? Laser hair removal with Soprano XL is a revolutionary new method for permanent hair removal that is virtually pain free. It provides effective laser hair removal because it safely and gently heats the dermis to a temperature that damages the hair follicle and prevents regrowth without damaging the surrounding skin cells. This new approach has dramatically changed the way laser hair removal has been performed for the past 15 years. With Soprano XL’s handheld device, we use a sweeping motion technique that eliminates a common problem of missed or skipped spots. The comprehensive coverage means smooth legs, arms, backs, faces, bikini area and stomachs without the pain. Most people compare the sensation of having Soprano laser hair removal to a hot stone massage. Soprano XL can be used safely on all skin types, including tanned skin, and has been shown to provide up to an 80% permanent reduction in hair growth. What happens during Soprano laser hair removal treatment? When you come in for your treatment, we will apply a cool gel to the treatment area before passing a laser hand-piece gently over your skin in sweeping motions. Pulses of intense light target the melanin (pigmentation) in your hair and damage the hair follicle to prevent re-growth. The treatment is virtually pain-free, and the device uses a sapphire tip to provide contact cooling to your skin to stop it overheating and give you what many feel is the most comfortable and effective hair removal method currently available. How soon should I be able to see the results of my Soprano laser hair removal treatment? 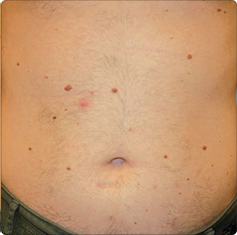 There are a number of factors that can affect the success of a series of hair removal treatments, but generally, after each treatment, you’ll see a noticeable, permanent reduction in the number of hairs that regrow in the treatment area. Laser hair removal only destroys hairs when they are in the anagen (growth) phase and, at any moment, 20% of hairs are resting or dormant. For this reason, you will need several treatment sessions with the laser so that we can treat previously dormant hairs as they re-enter their growth phase. Generally, you will need between four and six treatments with the Soprano XL laser to permanently reduce your hair growth. 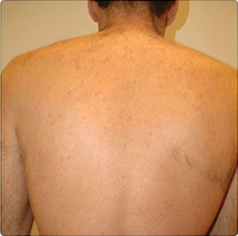 Hair removal is one of the aesthetic medical industry’s most well-known and researched uses of lasers. Soprano®XL laser has provided permanent hair reduction for thousands of patients worldwide, safely and successfully since it was cleared by the FDA in 2005. As a result, there is minimal risk of side effects, although you might experience some slight redness and swelling in the hours immediately after your treatment. Although most people compare the sensation of this treatment to having a hot stone massage, we all have different levels of pain tolerance. If you have any concerns about how the treatment will feel for you, please speak to Dawn so she can give you advice unique to your circumstances. Most people don’t need downtime after this treatment, but if your skin does feel red and tender you may want to take things easy after you leave the clinic. After Soprano laser hair removal, we would recommend that you avoid using irritating lotions containing AHAs, such as glycolic acid, and that you stay out of the sun for 48 hours, before using a sunscreen with a minimum SPF 30+ for the first week. Do not shave the area for at least four days after each treatment – something you may want to do as previous dormant hairs begin to regrow – and avoid waxing between treatments. Want to know more about Laser Hair Removal (Soprano)?